Most of the time, these bidders’ hopes are misplaced. For many, their dreams of working in Rome or Singapore are doomed even before bidding season begins, a victim of unrealistic expectations and not understanding how assignment decisions are made. Think you’ve got what it takes to land one of those “dream jobs”? Here’s what you need to know. At some of the places I’ve worked, all it took to get on the short list was a pulse and a lack of any recent felony convictions. But that’s not the case in Riga, where for the summer 2019 cycle we had 144 bidders on seven positions, including one job with more than 40 bids. And it’s definitely not the case across the European Union and at lots of other “nice” or “important” places. If you fancy landing a heavily bid job, first consider the odds you face. If 30 people bid on a position, you’ve got only a 3.33 percent chance of landing on top. And that assumes every bidder has an equal shot, which they don’t. In reality, on even the most heavily bid jobs, no more than about 10 people have a realistic chance at getting selected, and only about half of those will get on the short list. In other words, you had better odds of getting into the Foreign Service than you do of getting that assignment in Australia. Second, and what few bidders who have never been in a position to decide understand, is that the people who get these jobs almost always have a comparative advantage that sets them apart. Either they have a high-level patron, or they are known favorably by the deciders. Or they have skills or experience that sets them apart. Maybe they work at the country desk (or, if bidding on the country desk, are coming from the country itself ). Or they have a 4/4 in the language or prior regional experience. In some cases, they have all of the above. For heavily bid jobs, you need to do everything right, have the right qualifications and be a little lucky—and that’s just to get on the short list. So the next time you find yourself thinking about joining 30+ other people vying for a job, ask yourself: What’s my comparative advantage, and how will I leverage it to get this job? What do I have that most of the other bidders don’t? If you can’t answer those questions, you should probably look elsewhere. Lots of bidders hurt their chances because they refuse to commit to one bid as their top choice. Brevity matters. And while we’re on the subject of the introductory email: be brief. Overly long, detailed emails are a turnoff and take too long to read. Tell me about yourself, lay out your comparative advantage and what you bring to my team, and do it all in 300 words or less. Don’t press me for an interview in our first communication. On heavily bid jobs, there’s no time to speak to everyone, and pressuring deciders for an immediate interview makes you look presumptuous and overly pushy (remember, it’s all about interpersonal skills). References matter. Assuming your introduction didn’t misspell my name or get the position wrong, I’ve now moved on to your 360s and resumé. What matters most for me is that you have good interpersonal skills, relevant experience and strong recommendations from people I know and trust. References that I solicit myself count more than the plain-as-oatmeal online 360s. I also rely on the advice of the incumbents, working with them to sort through applications. Together, we look for comparative advantages. Those who have them make the short list. Stretch bids are allowed because they give the department flexibility to fill jobs that might otherwise sit empty. But when it comes to hotly contested jobs, your stretch bid gambit will almost certainly fail. Unless you have a high-level patron or get clear assurances from the deciders that they want you and only you for the job, your stretch bid is a waste of time. Stretches are a dicey proposition for everyone involved because they don’t go to panel until stretch season, which usually takes place months after bid season closes (unless you have bidding privileges—see below). By then, everyone else on the short list will be long gone, so if the stretch doesn’t get approved by Human Resources, the decider has no Plan B. For this reason, few deciders or assignments officers are willing to go through the risk and extra effort required to push through stretch bids when so many other qualified, at-grade bidders are vying for the same job. “Bidding privileges” can give you an advantage in some circumstances, but on heavily bid jobs they don’t count for much. If I’m serious about a stretch bidder for a position, I’m more likely to take a risk on someone with bidding privileges, because getting that assignment through panel is easier. But simply having bidding privileges doesn’t change the fact that you probably have less relevant experience than most of the other people vying for the same job. So unless you have assurances from the deciders that they are strongly interested in you, don’t expect much help from that quarter. Lots of bidders hurt their chances because they refuse to commit to one bid as their top choice. They think being coy will keep them in the running for multiple posts at once, and fear that clearly identifying a number-one bid will ruin their chances with everyone else. Sometimes it won’t matter. If you’re number three on my list, but my number one and two have already said Riga is their top choice, I probably won’t move you up. But deciders often face a short list full of people unwilling to commit. I try to be transparent and honest with bidders, and I appreciate the same from them. I try to be transparent and honest with bidders, and I appreciate the same from them. Let me know where I am on your list, and let me know if you change your mind. I’ll never think ill of a bidder who calls back and tells me Riga has moved up or down her list; but I will hold it against someone who says Riga is his first choice but then turns down an offer because he changed his mind and never told me. Deciders crave certainty. We never want to make an offer to someone unless we’re reasonably sure that person will accept. So do the deciders and yourself a favor: commit to us, and we’ll be more likely to commit to you. Is everyone in the Foreign Service really that good? No, they’re not. Over the years I’ve torpedoed numerous bidders with stellar online 360s after someone who was not listed as an “official” reference raised serious red flags about the bidder. This is why most deciders I know look skeptically at online references. For heavily bid jobs, don’t rely on the robo-360s. To get ahead, you need your best references to send thoughtful recommendations directly to the deciders. Better yet, find people who know the deciders, and have them recommend you. What’s a Bidder to Do? 1. Know your comparative advantage(s) and go after jobs where you can exploit that advantage ruthlessly. If you don’t have something that puts you ahead of the other bidders, look somewhere else. 2. Look at less heavily bid jobs. Fewer bidders means better odds, and a greater likelihood that the deciders will give you a closer look. Instead of looking needy and desperate as you and 50 others try to attract the deciders’ attention, you may find the deciders are chasing you. 3. Bid the job, not the city. Far too many bidders go for positions in tourist-destination cities, when there are equally or more interesting and career-enhancing jobs available at lesser-bid posts. 4. Have a backup plan. If you insist on going after a heavily bid job, make sure you’ve got a Plan B ready in the likely chance you don’t get your top choice(s). 5. Small details matter. Thanking deciders (after the fact) for an interview and keeping us updated on where we are on your list are small touches that can make a big difference. 6. Competitive advantages aren’t genetic—they can be developed. Sometimes the path between you and your dream job runs through another position, one that will set you up for the job you really want. Gain experience, develop new skills, build contacts—then try again. Paul Poletes is deputy chief of mission at U.S. Embassy Riga. 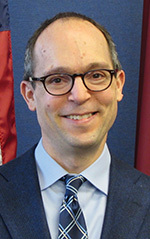 He joined the Foreign Service in 1998, and has served in Athens, Dhaka, Bishkek, Tirana and Ashgabat, as well as three tours in Washington, D.C. The views expressed here are his own.